It’s been five hundred years since the human race was almost wiped out by attacking monsters known as ‘Beasts’. In attempt to fight back against these monsters, a small group of young girls, the Leprechauns, wield ancient weapons that can hold these monsters at bay. However, the home of these young girls changes when a young man named Willem, the last living human, becomes their fatherly figure. Willem and the girls begin to live like a family and we see their relationship grow through their interactions. Shuumatsu Nani Shitemasu ka? Isogashii desu ka? Sukutte Moratte Ii desu ka? 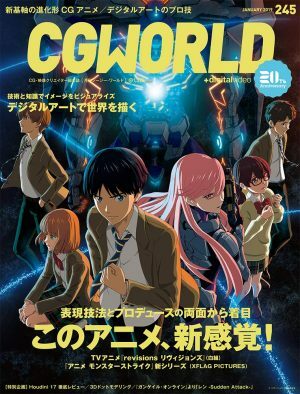 is an anime filled with great interactions amongst its characters, fighting warrior girls, and a main protagonist who seems to be hesitant to show his true potential due to the consequences it has brought to himself and those around him. 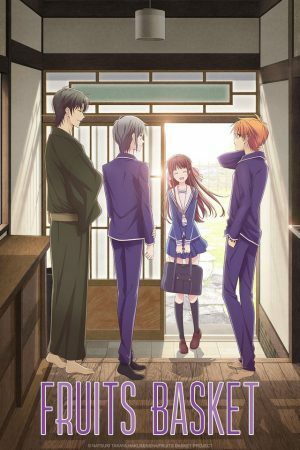 Once you finish this anime you may find yourself looking for more just like it. Here are 6 other anime filled with main characters who have girls fight alongside them and must deal with the fantasy worlds and situations they currently find themselves in. A girl named Eruruu finds a mysterious man injured in the woods and with no memories of his name or where he came from, this mysterious man is welcomed into Eruruu’s home. Here, this man is given the name Hakuoro by Eruruu’s grandmother and younger sister, Aruruu. However, Hakuoro has one distinct feature compared to those around him, he doesn't have ears or a tail but instead a mask that he can’t take off his face. As Hakuoro begins to become part of the village and his new home, a war breaks out against the oppressive emperor of the land. Hakuoro is now faced with the task of protecting his village, meanwhile discovering the mysteries surrounding his past. 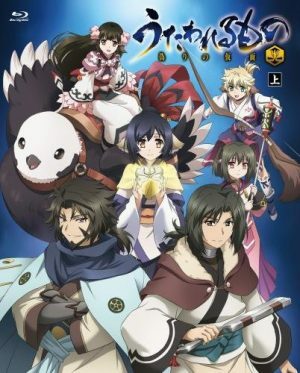 If you enjoyed SukaSuka then you should check out Utawarerumono. In Utawarerumono, we find ourselves in a similar situation as in SukaSuka where a young man finds himself in a completely different fantasy environment but begins to fit in with those around him. However, due to the circumstances these protagonists find themselves in, they must rise to the occasion. 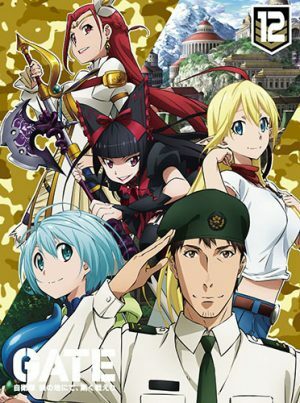 As off-duty Japan Self-Defense Forces (JSDF) officer and otaku, Youji Itami is headed to a doujin convention in Ginza, Tokyo, a mysterious gate appears where medieval armored soldiers begin to attack the city and it’s civilians. In the midst of the moment, Youji begins to help and rescue as many civilians he can. Due to his courageous efforts, Youji is honored and given the task of leading a special team into the world beyond the gate. Here, Youji tries to create peaceful ties with the ruling empire of the land with the help of his team; a sorceress, an elf, and a demi-goddess. GATE brings its viewers into a world filled with empires, monsters, and creatures. It also shows us how a modern army would react to such a new environment. Our main protagonist faces many issues while trying to reach peace with these new nations, but on the way, he begins to grow out of his otaku shell. His interactions with his team, the princess of the empire, and even his ex-wife, show the kind of growth Youji goes through as he embarks in this new position and new foreign land. 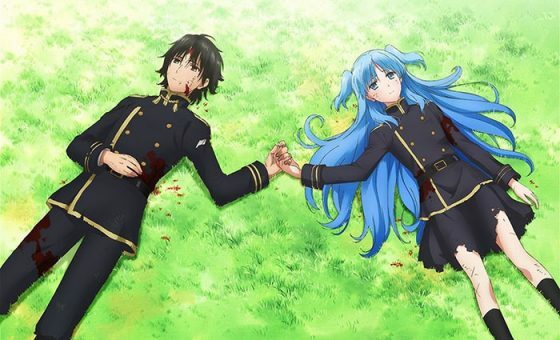 If you had a great time watching SukaSuka GATE is another anime filled with interesting character interactions and a world filled of adventure and problems. Sagara Yoshiharu, a high schooler, one day mysteriously time travels into the Sengoku period. Yoshiharu then runs into Oda Nobuna, a major Samurai lord. However, in this world the Samurai lords are all cute girls. Yoshiharu saves Nobuna from a calvary of incoming enemy troops and afterwards Yoshiharu pledges his loyalty to her and becomes Nobuna’s advisor. In Oda Nobuna no Yabou we see a main protagonist who enters a different world and immediately begins to impact the lives of the people he meets. Since Yoshiharu was a big fan of the original Nobunaga Oda, he knows what advice he should give to Oda Nobuna. However, things get more interesting as the story goes on and more characters are introduced. 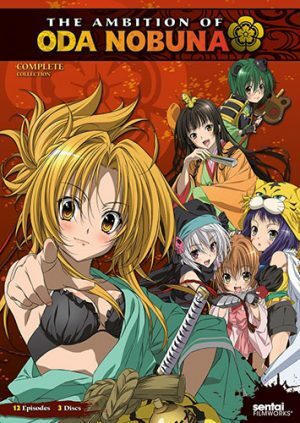 If you enjoyed watching SukaSuka then Oda Nobuna no Yabou is another anime that will have you wondering how the main protagonist handles the situation he has found himself in. It’s the year 2021 and the human race has been pushed into the boundaries of walls due to a parasitic virus known as “Gastrea” which converts humans into monsters once infected. In an attempt to counteract this infectious disease, man has placed their hope on teams of two. A team consists of Initiators, female children who have Gastrea-infected DNA granting them superhuman abilities, and Promoters, who are given the task of taking care of the Initiators. In Black Bullet, we follow the team of Enju Aihara, an Initiator, and Satomi Rentaro, a Promoter. 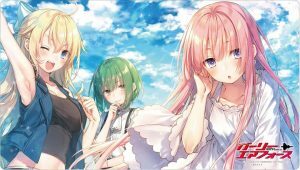 In SukaSuka and Black Bullet, we find our main protagonists in a situation where the human race has resorted to retreating and using any means to stay alive. Even if those means are using cute girls as weapons. 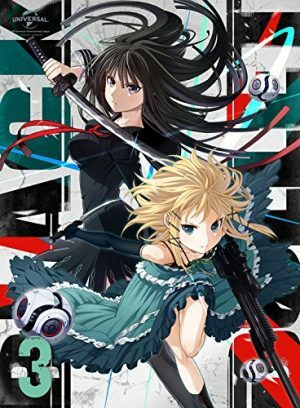 Even though Black Bullet may go at a faster pace, we are able to see how the male protagonist cares for those he is surrounded by, but realizes the harsh reality of the world they live in. 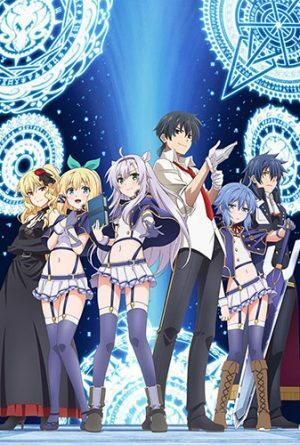 Fibel Sistine and Tingel Rumia are both students at a magical academy who hope to hone their magical ability in an attempt to rise to the Sky Castle and solve the mystery surrounding it. However, one of their instructors disappears and the board of the school assigns a new teacher, Radars Glenn. In the eyes of the students, Glenn seems to be the least qualified person to teach, but as the school is attacked by unknown individuals, Glenn rises to the occasion. Little by little, the students begin to appreciate and respect Glenn and Glenn begins to care about his students. Rokudenashi Majutsu Koushi to Akashic Records takes place in a school, which is very different than the home environment we find in SukaSuka. However, both have a male protagonist that enters into the lives of many people and immediately begins to have an impact on them. And as we continue watching, we begin to uncover the mysterious past these male protagonists have had and how that affects the present. In Zero kara Hajimeru Mahou no Sho, we find ourselves following the story of a half-man, half-beast mercenary, Youhei, who wishes he was fully human. 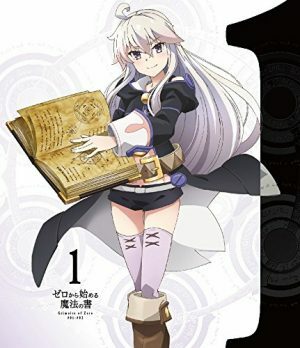 Youhei runs into a witch who introduces herself as “Zero” and asks Youhei to help her find a book titled “The Book of Zero.” Youhei refuses to help Zero because he dislikes witches, but he has no choice when Zero tells him that she could grant him his greatest desire, to be fully human. Zero kara Hajimeru Mahou no Sho is on this list because of the type of character development we get between Youhei and Zero. Youhei really dislikes witches, but little by little, he begins to grow fond of Zero and wishes to help her. In SukaSuka, the main protagonist, at first, is feared by the residents of the new place he calls home; but little by little, everyone begins to get used to having him around. A very common moment for anime fans is right after a series finale, we find ourselves wishing there were other anime just like the one we just saw. 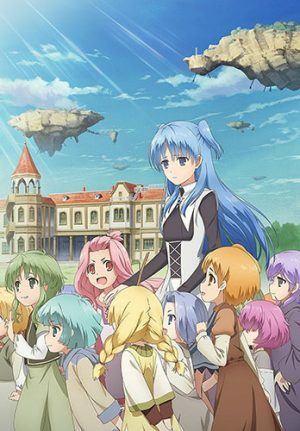 If that’s where you find yourself after watching SukaSuka, we hope that this list can satisfy you. We all enjoy an anime filled with cute girls and a male protagonist that handles the situation he finds himself in. If you think there are other anime that should belong on this list, please leave a comment below. 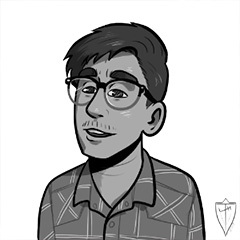 Hi, my name is Horacio and I am a college student in Los Angeles, California. In my spare time, when I am not watching anime, I enjoy hanging out with my friends and going to baseball games. 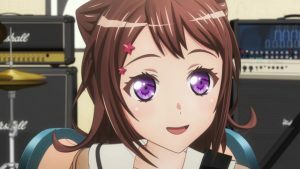 My dreams consist of being part of a video gaming company, making cool games, eating tons of food, and possibly living in Japan, I hope.